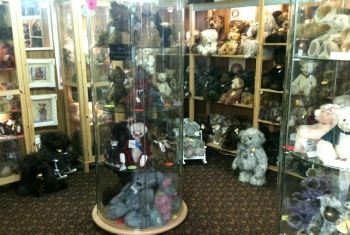 TREASURED TEDDIES AT FARNBOROUGH GARDEN CENTRE! Treasured Teddies at Farnborough Garden Centre, near Banbury, is a stocklist of these respected and sought after makes of teddy bear: Steiff, Robin Rive, Bukowski, Cotswold Bears, Charlie Bears, Steiner, Russ, Boyds, and Trendle International. These bears make a great gift for special occasions which could be an investment purchase since many are sought after by collectors and increase in price as time goes by. Collectors also seek out these bears to add to their collections. The range of standard jointed bears, mainly made using selected plush materials, can also make a wonderful gift or can be bought "JUST FOR YOU". 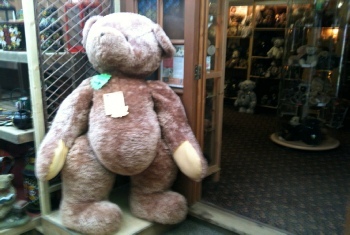 A small range of un jointed soft toys for young children is also stocked. 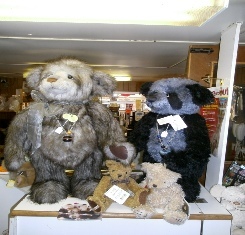 Treasured Teddies is owned by Peter Toms, a collector of Teddy Bears for many years. He and his friendly staff are available to guide you on your purchase, whether you are a serious collector or simply a Teddy Bear lover!